Now, plastic windows do not surprise anyone, they are installed almost everywhere - from shops and offices to luxury apartments and three-storey mansions. But their quality is completely different. If at the beginning of their "biography" plastic windows were exotic designs, they looked like a degraded version of serial wooden ones, as they say "shovels", and in terms of quality they were practically equal to them, then at the price they clearly went into the premium segment. But in the process of technology development, they turned into a very competitive product with a number of unique properties. Modern windows made of PVC profiles are high-tech products, inexpensive, high-quality, convenient to use and, most importantly, maintainable. If replacing a sash or glass in a wooden window is a complicated and expensive procedure (manufacturers of windows and doors made of natural materials often unjustifiably inflate prices), then ordering a part of a plastic window is quite affordable for any budget. To be convinced of the quality and high consumer properties of plastic windows, you just need to read about their characteristics in the article offered to your attention and compare them with wooden structures. The text is far from being advertising - only objective information. The choice of priorities - for the reader. Here you will learn how to choose plastic windows, and why some designs are better than others. Next we look at each element of the window in more detail. 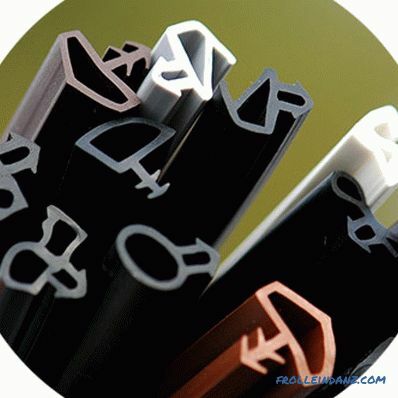 What are the technical characteristics of PVC profiles? The term "profile" in relation to plastic windows and doors means the material from which the frames and sash are created. For vertical and horizontal elements in PVC windows, a complex construction of metal (aluminum or steel) and polyvinyl chloride is used. In cross section, it represents several longitudinal cavities separated by hermetic walls. Such cavities are called chambers, the more, the better theoretically - the windows become warmer and stronger. 4. Cameras with a profile. 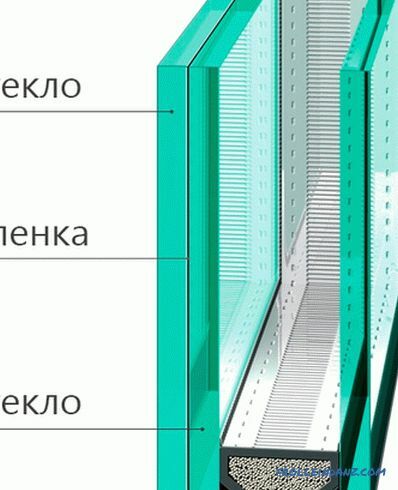 Window profiles are produced according to the standard EN 12608 SR (Europe) and GOST 30673-99 (Russia). According to the main indicators, they are almost identical. The main parameters are the thickness of the walls of the external contour and internal partitions. 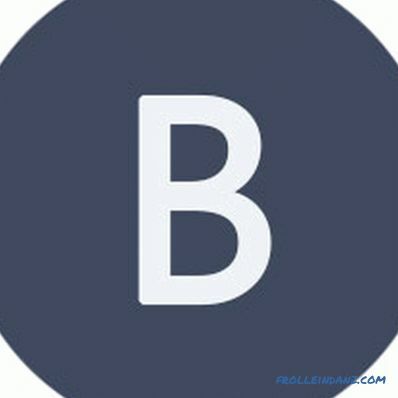 According to these indicators, the profile is divided into three types - "A", "B" and "C". The thickness of the outer walls is from 2.8 mm, the internal walls - from 2.5 mm. 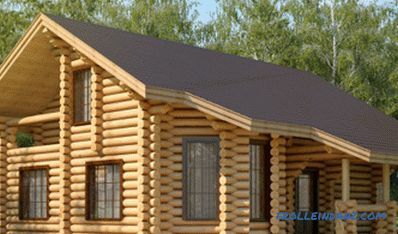 The best profile for residential buildings. External walls from 2.5 and internal from 2.0 mm. Suitable for installation in heated and unheated rooms. Less resistant to mechanical stress. The so-called object. As a rule, wall thickness is not standardized, but less than that of profiles A and B. Such structures are installed in unheated rooms. As a rule - the sash does not open, the design of windows is monolithic. The metal stripes are hidden inside the profile and act as an amplifier of strength. Sometimes windows of this design are called metal-plastic, which is more true than just plastic or PVC. The function of metal inserts is very important to ignore. weak conduction of sound vibrations. Compared with wood and aluminum, which are traditionally used for window designs, PVC is more preferable for aesthetic reasons. It is easy to assemble from it not only rectangular structures, but practically any geometrical configuration. The first thing you need to pay attention to when buying windows is the appearance of plastic. If the window is not laminated with a decorative film for wood, the type of material will tell a lot.High-quality polyvinyl chloride - a monolithic material, completely smooth, uniform color. If there are spots on it, or, worse, small or large grains, this is a fake that you shouldn’t buy anyway. There are no absolutely poor-quality windows on the market now - there are a lot of companies offering their own windows and only one-day firms can afford to work with cheap materials. 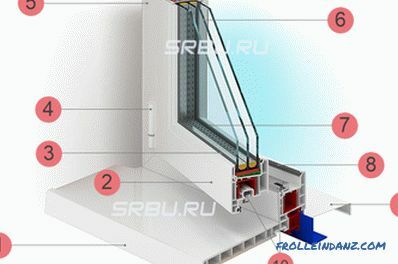 Before ordering windows, it is necessary to find out as much as possible about the company's reputation, to see its products, etc. The best thing is to buy products from major manufacturers - there is a lot of quality equipment in the manufacture of windows. It is not affordable for many small companies and workshops to buy expensive cars, therefore their products are somewhat worse. The frame profiles are slightly different. There are separate designs for the supporting struts, sashes, crossbars). In any case, for one window, profiles of the same manufacturer are used, which are cut at the factory to the required length and assembled into one structure. The elements are connected by special welding or mechanical hardware. 1. A sufficiently high linear expansion of , reaching several millimeters per meter of length. 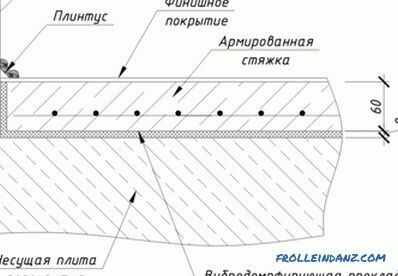 In order to compensate for this phenomenon, it is necessary to leave special gaps, use reinforcement and correctly calculate the number of fasteners. The same feature of the PVC profile limits the maximum size of window designs. 2. 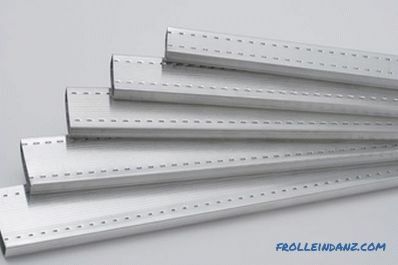 Low coefficient of elasticity , but even in factories it is leveled by the use of metal inserts and the correct calculation of the thickness of the inner walls, which are ribs. 3. Insufficient temperature stability and resistance to UV light. Manufacturers have also learned how to deal with this drawback, introducing special modifiers and stabilizers into PVC, which preserve the color and structure of the material. In quality windows, such additives serve no less than the entire structure. They are, in most cases, completely harmless to humans. But if the frame emits a sharp smell that does not disappear for a long time - do not buy this window. It instead of harmless zinc and calcium used lead or cadmium, and even more dangerous chemicals. Closed longitudinal air chambers in window frames play a dual role. This is an effective thermal insulation and structural reinforcement. External cameras, in addition, serve to drain condensate that forms inside the cavity due to the temperature difference in the room and outside. At the bottom they are connected to the atmosphere and drops of water simply flow down the street. The presence of such holes has practically no effect on the overall level of thermal insulation. They also do not spoil the appearance of the window - as a rule, the holes are completely invisible or closed with decorative plugs. If such technological holes on the frontal part of the window could not be found, then there is not a very high-quality construction in front of you, which will serve significantly less than the established period. The insulating properties of the window depend on the number of chambers. There should be at least three for cold glazing of balconies, loggias and technical premises and at least 5 for windows of residential premises, offices, commercial establishments, hospitals and schools. PVC profile with 3 cameras. PVC profile with 5 cameras. More than 5 cameras can be found in the quality products of well-known brands, but already 7 cameras are a clear overkill. Studies have shown that with a noticeable increase in weight, thermal conductivity begins to increase - in the first place is not the volume of the air gap, but the thermal properties of wall partitions that conduct heat better than air. 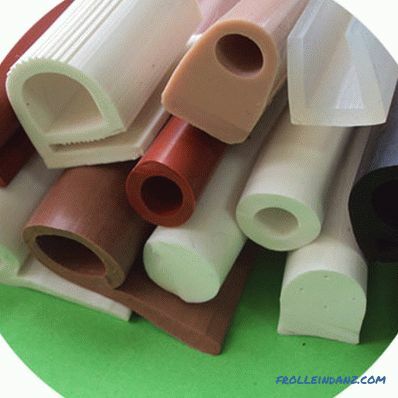 PVC windows have recently appeared on the market, the cavities of which are not filled with air, but filled with foamed heat insulators — polystyrene foam, for example, or filled with fiberglass materials. Even with a relatively small number of chambers, their thermal insulation characteristics are much higher than air ones. But so far their price is higher. The right choice of plastic windows should be based on a comprehensive analysis of their parameters. One of the main features is the width of the profile; the installation depth is in a professional language. With standard windows it is 50 - 80 mm. If the frame width barely reaches 60 mm, then there are no more than three cameras in it, and with a depth of up to 70 mm there are four or even five. 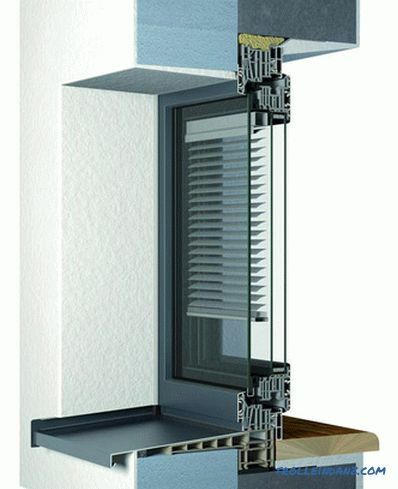 In addition to their own heat-shielding properties, such frames allow you to install more durable fittings, thick windows and additional contours of insulation and sound insulation.But the width of the profile does not necessarily indicate the number of chambers - there are profiles with a smaller number of cavities, but with a width of 8 or even 9 cm. They are better than narrow multi chambers for general thermal insulation properties - not the number of chambers, but their size and stock plays a role air in them. It can be concluded that the greater the installation depth, the better the window for thermal insulation and other characteristics. Windows with a trapezoidal section of the frontal frame, so-called "Dutch" or "Danish" can be found on the market. The installation depth exceeds 100 mm and often they do not require the installation of external slopes, completely blocking the opening. Such windows are more efficient than ordinary rectangular ones, but more expensive than them. 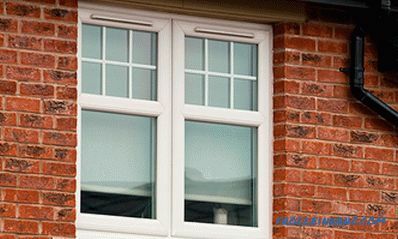 One of the most important parts of a plastic window is a double-glazed window. Its quality depends on both the transparency of the window and its heat-saving properties - one of the main characteristics, due to which plastic windows are chosen. Which package is installed on the window depends largely on the seat on the frame, especially on one characteristic - the depth of the package. 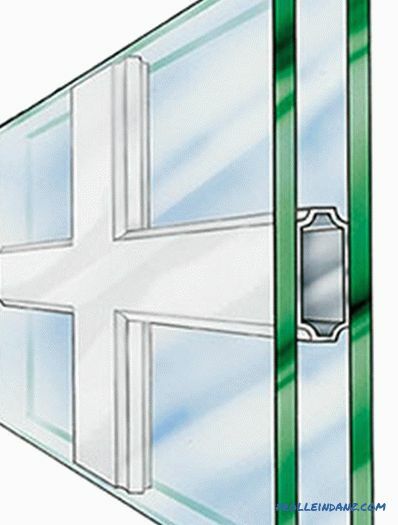 In good windows, the outer glass should be at least 15 mm from the frontal edge of the frame, which overlap the profile fold. For the mounting depth of the frame in 50-70 mm, the seat of the glass unit provides this distance of at least 18 mm. Few people pay attention to this parameter, concentrating on the number of chambers and the width of the frame, but it is of great importance for the heat-shielding properties - the lower the landing depth, the faster the glass will freeze and mist over. 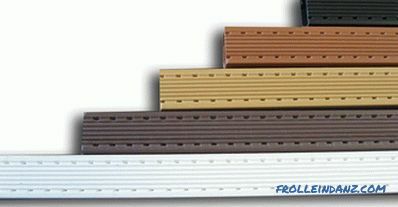 Is the thickness of PVC profile walls important? When deciding which plastic windows to choose, it is necessary to pay attention to the thickness of the outer walls and partitions. If the outer wall is thinner than 2.5 mm and the inner wall is 2 mm, then such windows are suitable only for an unheated garage, warehouse or workshop. In a residential building there is little use for them, in the sense of protection from the cold. In addition, from such profiles it is possible to assemble a relatively small in size structure - apart from low intrinsic strength, the walls do not allow for fixing powerful fittings. The stability of geometrical forms, the preservation of corners, and the overall strength of a structure largely depend on the thickness of the partitions inside the frame. It is difficult to check the jumpers, it remains only to hope for the truth of the information indicated in the product passport. This is another fact in favor of choosing windows from major manufacturers - there the process is organized perfectly and no one will be involved in product falsification, risking to spoil the reputation and get millions in losses. Polyvinyl chloride itself, even modified with chemical additives, is not too strong a material mechanically, besides it is prone to thermal deformation. But in combination with metal inserts, its stability and resistance to mechanical stress increase by an order of magnitude. It is safer to fasten all the accessories to the metal, which is quite a lot in the modern window. The reinforcing element of the window is a U-shaped or square profile that is inserted into the largest chamber located in the center. The thickness of the sheet metal from which the profile is formed is in the range of 1.5 - 2 mm. It is made of galvanized steel and is highly resistant to corrosion. The amplifier is installed in almost all designs, although according to the regulations, with a frame length of less than 0.8 m, it can be omitted. When you buy a window, especially laminated, then it is imperative to know about the presence of the profile. If not, then when heated by the rays of the sun or in cold weather, the frame will deform. It will not lead to the destruction of the glass unit or the window itself, but a violation of the sealing and difficulty with closing will certainly appear. 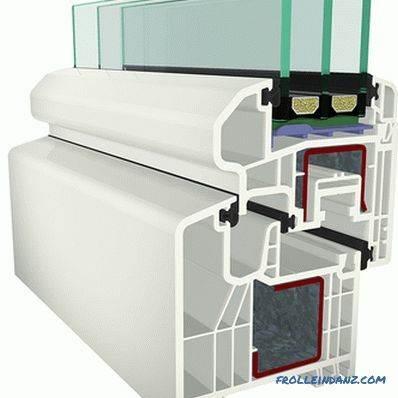 One of the important characteristics of metal-plastic windows is frost resistance. It is the ability to maintain the integrity of all elements and heat-saving properties at a certain temperature. 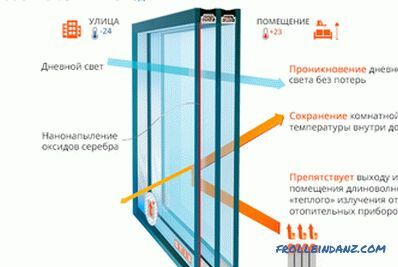 For the Russian climate, it is necessary to choose windows designated by the “M” index - frost-resistant. They retain all their characteristics up to - 20 0 С. The passport of the product must indicate all profile parameters, including resistance to low temperatures, or simply indicate the degree of performance. If it is written that the profile belongs to the normal or frost-resistant type, then you can buy without fear, it is designed for negative temperatures. 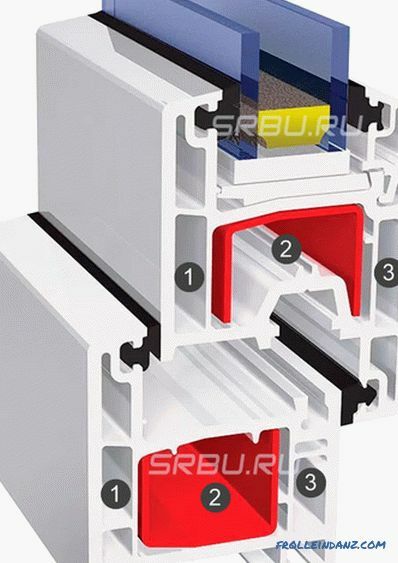 The characteristic white color of the metal-plastic window is becoming less and less popular.It is replaced by a variety of colors imitating valuable wood or simply monochromatic on a scale of RAL or other fans of colors of leading manufacturers of paints. Decorating the profile increases the cost of the finished assembly as a unit — the difference can reach 15–20%. The decorated and white window also differs in a number of mechanical parameters. Laminated frame, especially in dark colors, more heated by the sun. This necessitates the mandatory reinforcement of the profile, regardless of the size of the structure. The surface of the profile is painted in various ways - acrylic coating, spraying, lamination under pressure. In more expensive designs, metal or wooden plates are used, which are firmly fixed on the outside or inside of the frame. The decoration of the shape of the profile also concerns itself - the flat frames that have become customary are gradually replaced by rounded or more complex relief. Several dozen factories in Europe, Russia and the CIS produce basic profiles from which window designs are assembled. 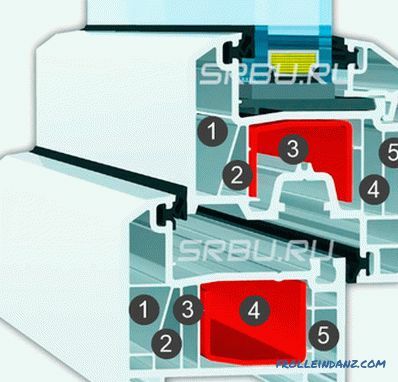 How to choose plastic windows correctly can prompt only one name of the manufacturer. But as a finished product, much depends on the specific collector of the window and its installation. Experience suggests that expensive high-quality profiles are usually used by responsible executives who produce excellent windows. 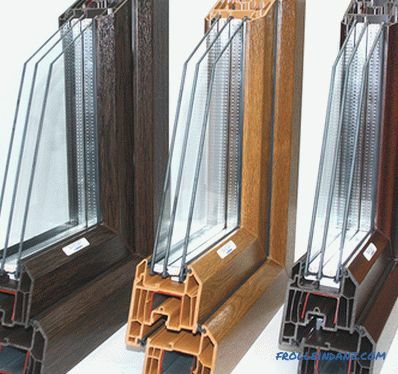 If you meet a profile of a well-known company, for example, Rehau, KBE, Salamander, Mont Blanc, Veka, etc., then there is a high probability that the window will be of high quality. And if the construction is made from the profile of an unknown factory, then it’s hardly worth hoping for anything decent. 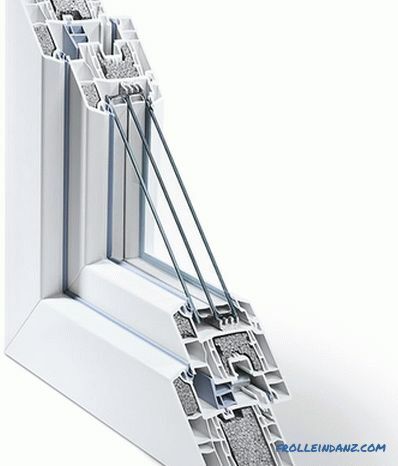 But it is impossible to focus only on the manufacturer of the profile - the window is a complex structure, the performance of which depends on the interaction of all elements - fittings, double-glazed windows, and gaskets. Only by reviewing all the components in the complex, you can make a judgment about a specific window. Airtightness is one of the main properties of plastic windows. It is achieved by using special sealing elements, which are laid around the perimeter of the valves and prevent the penetration of moisture and cold from the street and heat removal from the house. In addition to these functions, the compactor is also a good sound insulator, not inferior in terms of reducing the intensity of sound to the best glass packs. do not change colors over time. Sooner or later, but in a busy mode, a seal that can withstand both mechanical and thermal and chemical effects, the material wears out. It is easy to make a replacement even independently, if you choose a suitable sealant from the entire range of products offered by manufacturers. There are several basic modifications of seals, differing in some properties and, naturally, in price. Flexible Thermoplastic Sealants (TPE) are one of the most common due to the possibility of use on automatic assembly lines. It is very convenient for welding, easily changes its shape when squeezing the doors, quite firmly fills the junction area and seals the window in normal operating conditions. But in somewhat more extreme circumstances, for example, in severe frost or heat, as well as in direct sunlight (UV), it can fail. Becoming brittle in the cold and softening in the heat, it very quickly becomes useless if you actively use the window casement. But with constantly closed sashes (or constantly ajar, in the microventilation mode, for example), it will serve for a rather long time. In the event of a failure, it is quite simple to replace such a seal without having to call repairmen. Sold by TRE-seals in stores, on sites or on the market. Cost inexpensive. It is important to notice the damage only in time, so that the repair does not fall on the cold season, when it is not very convenient to open the window. The most resistant of all seals. 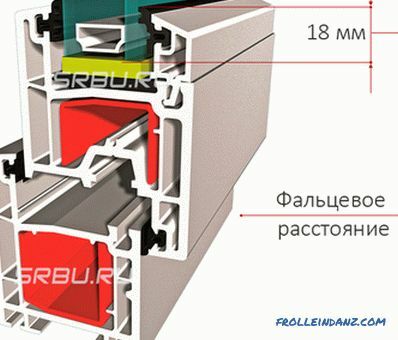 Not resistant to abrasion, indifferent to frost and heat, quite resistant to the chemical components of urban air and detergents.But its price exceeds the TRE and it is quite difficult to buy it, except to order from a company that sells and install metal-plastic windows and doors. 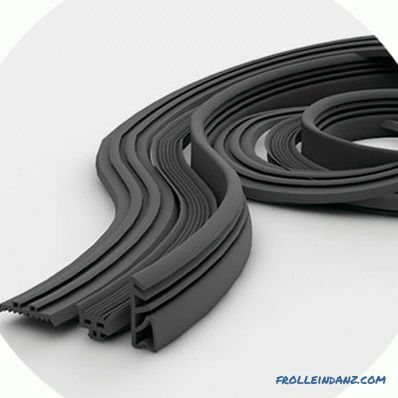 The EPDM rubber seal is also a fairly durable material that, moreover, is cheaper than silicone. It can be found on the windows of the middle and higher price categories or buy it yourself. True, to replace it yourself is quite difficult, it is better to call the master. 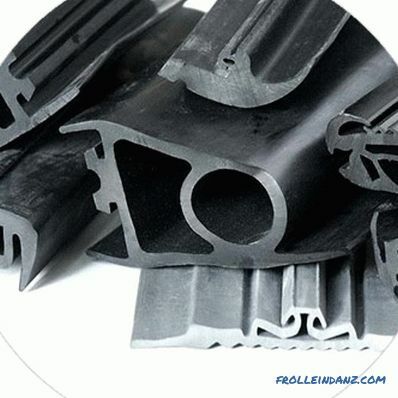 By their performance, rubber seals are not inferior to silicone and ethyl propylene, but at a price much more affordable. True soft rubber is not too durable and eventually cracks from frost and heat, losing tightness. But it is as easy to replace it as the TRE-seals, so there will be no problems with it. How to extend the life of seals. A gasket from any material can last for several years, and may even wear out in one season. It all depends on the level of service. Even this seemingly small part of the window requires some care. 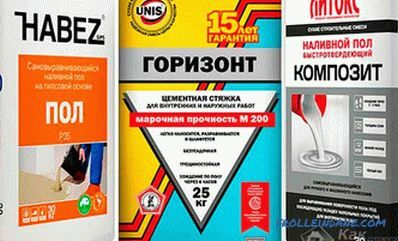 It consists of periodic (twice a year, spring and autumn) cleaning and lubrication with silicone oil. If this is not, it is quite successfully replaced by ordinary glycerin. Even on contaminated seals it is not recommended to use organic or synthetic solvents. It is better to rinse with warm water with neutral household detergents, dry well and lubricate. Of course, silicone oil and glycerin are not a panacea, but they can extend the life of seals for several years. Expert's recommendations on how to choose a plastic window will certainly concern the double-glazed window, as one of the most important parts. 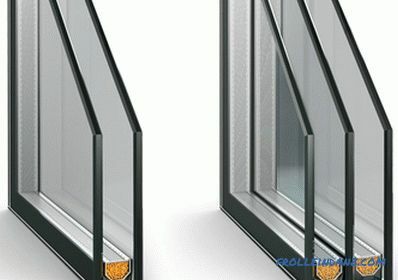 Like the frame, the glass unit is responsible for the level of insulation and sound insulation, but, in addition, the level of light transmission depends on the quality of the glass, which is the main function of the window. The glass unit, as a window construction, appeared quite a long time ago, almost 90 years ago. It has become a worthy replacement for double windows, simplifying their design and retaining basic properties. The technical essence of their simple - two sheets of glass, between which there is an insulating gasket, keeping them at some distance from each other. The air cavity, which is formed between them, creates a certain barrier to heat leakage from the inside and cold penetration from the outside. At the same time, the transparency of such a system is very high, even higher than that of a traditional double window. Such a glass unit is called single-chamber, as the air cavity is only one. If you install another glass on the same gasket (distance frame), you get a two-chamber glass unit. Again, the thermal conductivity will decrease by half, the insulation will increase, but the light transmission capacity will decrease by no more than a few percent. When choosing a two-chamber glass unit, it is necessary to remember that its weight is 30% more than a single-chamber unit, naturally, the cost is also higher. The ends of the double-glazed window are sealed, the air inside is dry and the glasses do not mist over at any temperature inside and outside. In modern glass units, instead of air, inert gas is sometimes pumped, most often argon. Its thermal conductivity is slightly lower than air, but the cost is higher. Whether such a move is justified in terms of energy saving is still a controversy. But in relation to the price - the producers definitely win. The wide distribution of plastic windows with double-glazed windows necessitated their unification and standardization. Currently packages of 24, 26 and 32 mm thick are being produced. Profiles from different manufacturers have different footprints, so choose a glass unit in accordance with this parameter. Considering the peculiarities of glass, as a material with a certain rigidity, spatial constructions like glass packs are distinguished by certain restrictions in size. They can be within a minimum of 300 mm on one side and a 5: 1 aspect ratio. But the maximum glazing area should not exceed 3 m 2 in a single-chamber package with glass 4 mm thick and 4.2 m 2 with a glass thickness of 5 mm. You can select a package by labeling - SPO is single-chamber, and SPD is two-chamber. Some manufacturers offer three and four chamber packages, but they turn out too heavy and expensive, while reducing thermal conductivity is not too noticeable. There are other ways to reduce energy losses without increasing the number of cameras. Most of them are created on the basis of high-quality float glass with a thickness of 3 - 6 mm. Sometimes you can find packages with 8 mm glass or even 10 and 12 mm. But these are windows made to order or for special architectural projects. Thick glass can be found on the doors with double-glazed windows or transparent walls. On windows 4 - 5 mm is enough, such glass has transparency up to 90% and an acceptable level of heat and noise insulation, with a sufficiently high strength. For reference: float glass - sheets obtained by casting a molten glass mass (melting T about 1000 ° C) onto the surface of a molten metal with a melting point below this limit (Tin, 231 0C). When the glass cools and fully crystallizes, the tin is still liquid. In such conditions, a sheet of a given thickness is formed with an exceptionally flat flat surface. 3. Why the distance frame is needed. A glass unit must have exact geometrical dimensions, both along the perimeter and in thickness. This is achieved by installing a metal gasket between the sheets. Frames are made of aluminum, less often galvanized or stainless steel and plastic. The metal creates cold bridges around the perimeter of the package, which somewhat impairs the properties of the structure. Stainless steel has a lower thermal conductivity than aluminum and zinc, so the framework of it is better and more expensive. In order to reduce heat losses, distance frames made of fiberglass or peculiar sandwich structures made of aluminum alloys and polymers have been developed. But they are still rarely all-metal. The role of the frame is not limited to setting the distance. They also serve as a desiccant. To do this, their horizontal parts are perforated with the direction of the firmware inside the frame. There, in the cavity of the frame, a special absorbent is poured, which actively absorbs moisture from the chamber and prevents fogging and freezing of windows in winter. The presence of such a desiccant is mandatory, without it condensate will appear inside. These chemicals are produced industrially by several chemical companies, the most famous and popular of which are CECA, Grace Davison, Degussa. Sometimes, silica gel known to all is still used, but technically it is long outdated and shows the worst results. Frames are made in several standard sizes that are in the range of 6 - 24 mm. The most commonly used inserts 10 - 15 mm. 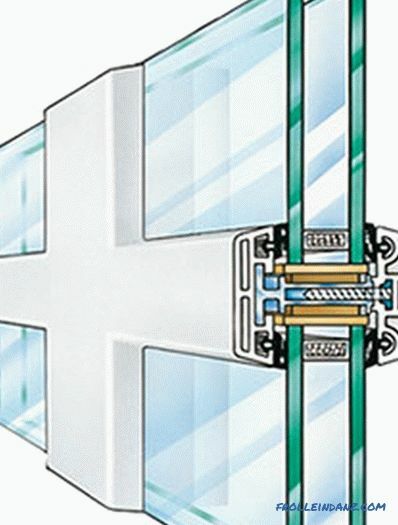 The dimensions of the frames are precisely calculated - when their thickness is less than 6 mm, deformation of the glass is possible when the pressure inside the chamber drops as a result of cooling, and in the chambers wider than 24 mm, convective currents occur, which significantly reduce heat-saving properties. 4. How I seal a glass unit. 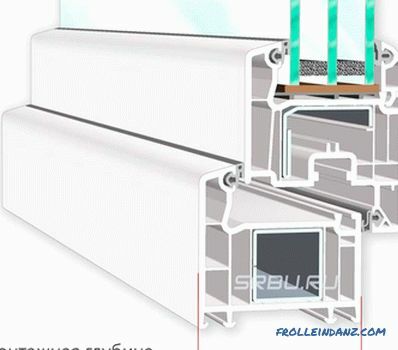 The edges of the glass unit are sealed on a mandatory basis - if the chamber is connected to the atmosphere, its thermal conductivity increases sharply, and the transparency deteriorates. In addition, the frozen sealant performs the functions of an external rigid frame, increasing the overall strength of the glass unit. Sealing is carried out with two compositions simultaneously. Internal, butyl sealant is applied between the non-perforated side of the spacer and the glass. It does not freeze and protects the camera from the penetration of gases and moisture from the outside. Temperature deformations are not terrible for him - glass and frame in narrow limits can slide over each other’s surface without forming cracks and voids. The second layer, outer, is a hardening polymer, silicone, or epoxy resins, with a sufficient margin of elasticity in order not to disturb the integrity of the package during thermal expansion. Unlike conventional window glass, a double-glazed window is distinguished by design complexity and an extended list of functions. Like any complex technical product, it has many characteristics, among which there are really important ones, and there are some minor ones that you shouldn’t pay attention to when choosing. Guided only by them, you can choose a glass unit for any climate zone, constructive type of house and even orientation of windows to the cardinal points.Depending on them, the design of the window, the number of shutters and other features affecting the usability are chosen. One of the most important characteristics. 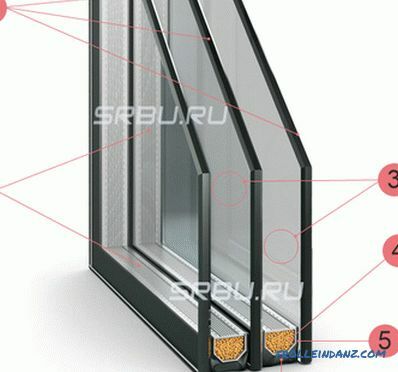 The area of ​​the frame on all contours is much smaller than the area of ​​the glazing. 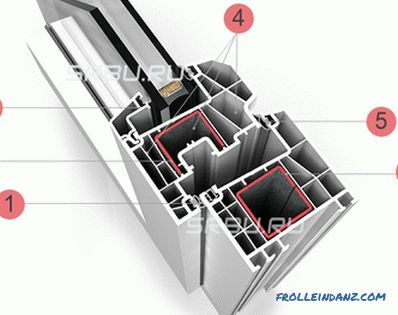 The highest quality five-six-chamber profile will lose all its advantages if a low-grade double-glazed window is installed into it. Energy efficiency glazing should not yield to the profile, and even exceed it. To achieve this is difficult, given the size of the glass, but for the time from the start of operation of plastic windows in this direction made a huge step forward. Constant monitoring of windows and doors that have been in operation for many years has allowed manufacturers to develop new methods and approaches to the production of insulating glass, as well as profiles. filling chambers with inert gases. The increase in the number of cameras has a natural limitation - weight. With a decrease in thermal conductivity by 35% compared with single-chamber, two-chamber is the same heavier. You can increase the weight even more, but in this case you will have to use more powerful fittings, which will necessitate reinforcement of reinforcing elements. As a result, the window will become unaffordable with a not-so-big increase in energy saving. If we take into account the cost of such a window, then all the savings from reducing the cost of heat carriers will go to the purchase of a window. The second option was also used - an increase in the size of the camera itself, instead of 14 mm the distance between the panes was proposed 16 or more. In the two-chamber package even frames up to 18 mm wide are used. But even here there is a physical limit - the thickness of a glass unit cannot increase infinitely. A more impressive result was given by another method - spraying of the thinnest metal film on the glass, reflecting part of the heat rays back inside the room. It turned out to be even more effective than increasing the number of cameras and expanding the distance frame. When using a sprayed film of tin, the so-called K-coating, the reduction in losses in a single-chamber package reaches 25%, and in a two-chamber package more than 30% if used together with pumping inert gases into the chamber. The second type of sputtering - i-coating is created using rare-earth metals. If you see an E-low marking (low-energy or soft) on the glass or frame, you can be sure that the window is really energy-saving. Such glass, unlike K-glass, is installed only from the side of the room, turning the film in the direction of the chamber. This is done to protect against mechanical damage. If K-spraying is practically not afraid of external influences, then the "soft" coating is quite sensitive. But the effect of energy saving is more noticeable - over 30% in a single-chamber package, and when pumped into the chamber of krypton, argon or xenon it reaches 40%. And all this happens without increasing the mass of the sash, only at the expense of innovative technologies. 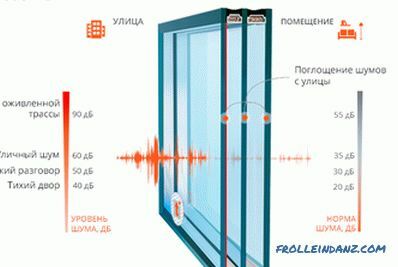 The high sound insulation properties of the glass unit are correlated with thermal insulation. In both cases, increasing the distance between the panes in the bag improves its properties. For example, if you increase the width of the spacer by only 2 mm, the sound insulation coefficient changes in the direction of improvement by about 10%. If you use a two-chamber package, then the room will become quieter by about 45% compared with a single-chamber package. A good effect is also provided by filling the chamber with an inert gas. If argon is pumped instead of air, the sound insulation properties will improve by 8 - 10%. Often, in order to increase sound insulation, special acoustic films are glued to the glass or laminated glass is used as a laminated glass. It costs more, but the effect of their use is more noticeable. Glass - the material is quite dangerous, in case of destruction it forms sharp fragments that can cause dangerous injuries. 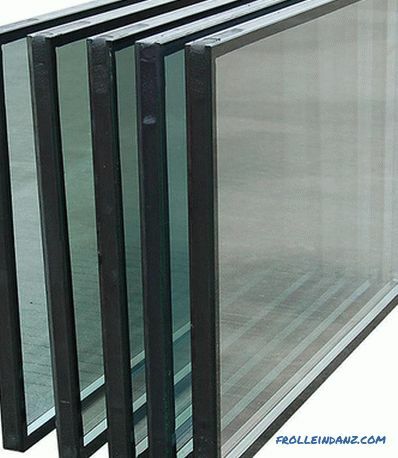 Glazing of metal-plastic windows has a large area, so the risk of breaking the glass unit is greater than ordinary glass in old-type windows. In order to increase safety, a number of techniques have been developed that allow making a glass unit, if not completely, then much safer. 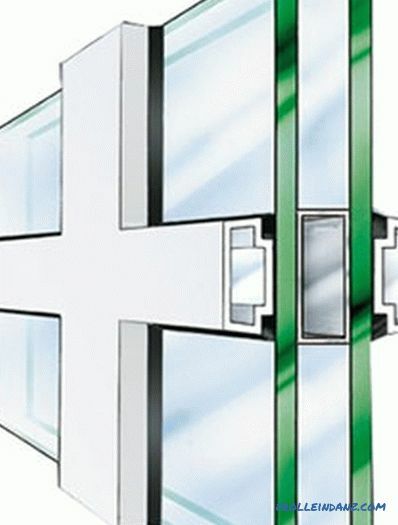 The first in the list of improved glazing is tempered glass. It undergoes a special heat treatment, which partially changes its internal structure. Similar methods are used to change the properties of steel and other metals. The result is an increase in the mechanical strength of bending, stretching and impact.If, nevertheless, the blow was too strong, exceeding the tensile strength, then the glass falls into small fragments, which practically have no cutting properties. In industrial conditions, any type of glass is hardened, including K-sprayed. In the process of quenching, only the mechanical properties change, the level of light transmission, heat-insulating and noise-absorbing coefficients remain at the same level. The second, rather effective way of glass reinforcement is lamination. The glass is glued to a transparent polymer film and two sheets of glass are connected using transparent glue. Such structures are used in the automotive industry, where they are used under the name triplex. With a strong blow, the pieces do not crumble, but remain glued to the film. On the basis of triplex technology, combining various types of glass and films get anti-burglar windows. Reinforced glasses, in which instead of a film special metal or transparent polymeric grids are used, have even greater protective properties. Such glasses are used most often in production or in public premises, but in apartments on the ground floors, in summer cottages and in country houses they are completely appropriate and justified. 4. How to protect yourself from the sun. Sunlight can deliver not only joy and pleasure, but also cause a lot of trouble, especially if the windows face the south or southeast side. 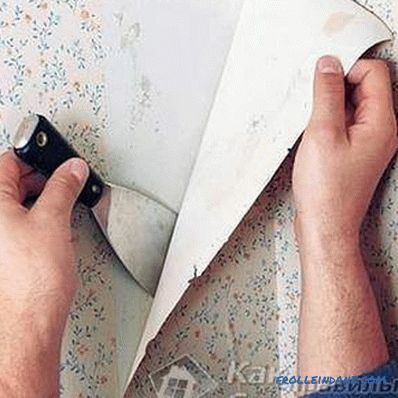 Do not always save even thick curtains. But double-glazed windows with increased protection from direct sunlight have been developed for a relatively long time and are actively used in practice. These are glasses with low-emissivity coating or tinting with metal oxides. Tinted glasses are cast in various shades of blue, green or other colors and absorb up to 50% of the sun's color. But the transparency of the glass is reduced. With the same success, you can also use mirrored glass, which does not let in most of the light outside and does not allow to look inside the room. But from the inside, too little is visible. Very effective i-coated glass. They are completely transparent, letting through almost the entire visible spectrum, but inhibiting ultraviolet and thermal infrared radiation, which are the most dangerous for the eyes. In the summer, in rooms protected by such glasses, it is never hot, and in winter, the heat rays from the room cannot leave it, reducing heating costs. A double-glazed window can be improved in various ways, for example, to install decorative elements in the chamber, between the glasses, called spraces, which allow you to create a very decorative look of the windows. Also, the built-in blinds and roller blinds, which allow to shade the window at any time, also earned the recognition of users. Systems are built into the window at the factory and are completely maintenance free. The only restriction to their use is the width of the chamber (distance plate). It must be at least 20 mm. The built-in systems are controlled manually, with the help of rods brought out of the window frame, magnetic control or electric motors are often used. All built-in mechanisms are sealed and the basic properties of the glass unit and the window as a whole are not reduced. When choosing a glass unit, there are a number of signs that will clearly show whether a quality product is in front of you or a makeshift fake, disguised as factory products. It is most difficult to forge a double-glazed window - the particularities of manufacturing technology are such that all requirements for a package cannot be met if there is no sophisticated industrial equipment. First of all, you need to look at the markings that are applied to each glass packet. 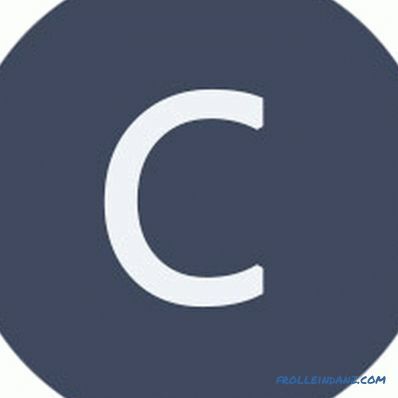 It indicates the date of manufacture, the manufacturer's logo and data on components. If there is no marking, then the glass unit should cause suspicion. Also on the glass should not be chips, cracks and any other defects of the planes or ends. Carefully inspect the cameras around the perimeter. No liquid sealant should be visible along the distance plate. If there is a leak, then the glass is clearly not factory made. Also pay attention to the layer of the outer sealing compound. It should be smooth and smooth. If there are nodules or cracks, it lay unevenly, then the package is of poor quality. Armed with a tape measure, check the accuracy of the geometry. For this, the diagonals are measured. 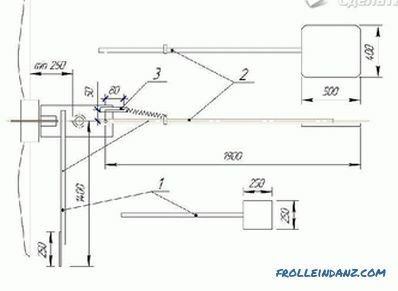 If the difference in length is more than 3 mm with a window side of 1.3 m or more than 4 mm with a side of up to 2.3 m, then the dimensions of the glass unit are too inaccurate to meet factory standards. We also measure the thickness of the bag; here we need a caliper - the deviation should not exceed 1 mm. If you use a square and measure the displacement of the planes of the glasses, then it should also not be greater than 1 mm for any thickness of the package. The transparency and the presence of water and steam inside the package can be checked visually, just by looking at the light. All identified defects are obvious traces of marriage. As you can see, the tolerances are quite strict, so you can determine the quality of the glass unit yourself, with the help of available tools, without resorting to the services of an expert. If the profile and the glass unit are responsible for thermal conductivity, sound insulation, transparency, the fittings are for the overall design functionality. It depends on it how convenient it will be to use the window and how long it will last. 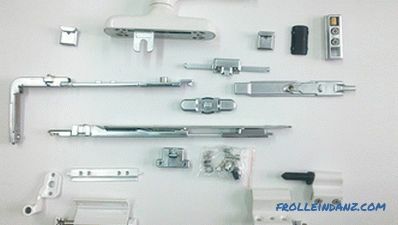 It will be a question of high-quality factory fittings, which can be easily identified even by type. 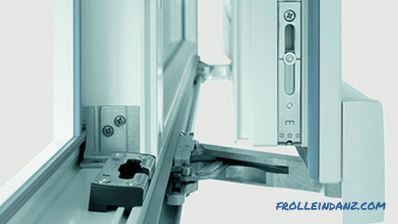 The fact is that fittings for a metal-plastic window are not just hinges and latches, but a complex system of opening, pressing, sealing, air exchange and protecting against outside penetration and unauthorized opening from the inside. Large doors can open at different angles and enter into micro-ventilation mode only by turning one knob. This allows you to do without vents, reducing the effective area of ​​the glass and cluttering the window with unnecessary details. Immediately it becomes clear that the window management system is quite complicated and it is not easy to fake it. But you can create a copy that looks almost the same as the original. 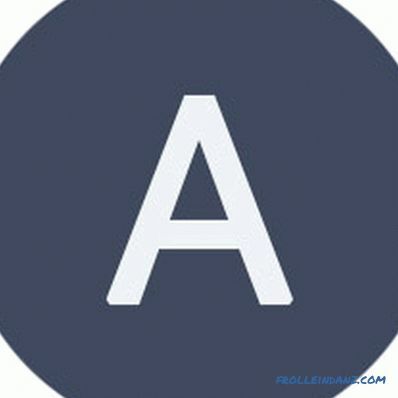 How to recognize a fake? First you need to get acquainted with the design features of window equipment. A special feature of hardware for metal-plastic windows is that it surrounds the sash in a circle and securely fastens on it. The most common - swing-out, providing movement of the sash in different planes. It is built on a modular system and is inserted into a special fitting groove. The plank and groove width must fit exactly together. If there are differences, then the fittings do not meet the standard. Effort transfer between modules is carried out by metal tapes and combs, which are part of the modules, or supplied separately. Fittings are usually assembled at the factory, at the facility only certain types of adjustments are made. Fittings provide at least three points of support in any position of the sash. For different types of windows produced their own accessories, allowing movement in a certain plane. Turning - traditional, familiar and familiar from ordinary wooden windows. Provides rotation of the sash around the vertical axis. As in the wooden structures, is divided into right and left. The folding - sash can rotate along the horizontal axis, reclining to 180 0 . 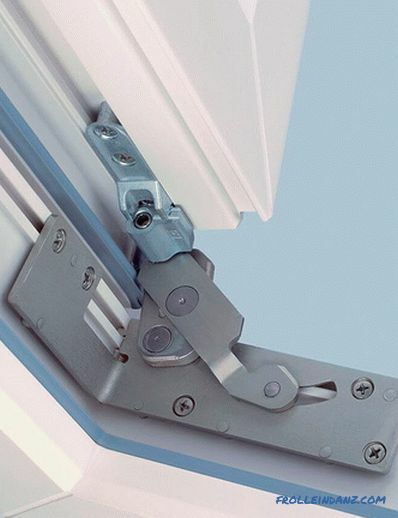 Moreover, the sash can open both up and down, depending on the installation location of the mechanism. As a rule, an additional angle of rotation is installed so that the flap opens only at the permissible angle. Pivoting and folding , universal. It provides both a rotation along the vertical axis, and a partial tilting away from the top of the window along the horizontal, with the lower anchorage. The opening option is regulated by simply turning the control knob at a certain angle. It is the most difficult option of accessories, but, at the same time, and the most convenient in various conditions. Sliding - provides frame displacement in the window plane. It is used most often on balconies and loggias, windows in the entire wall. 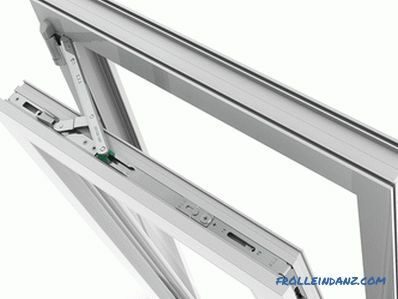 Even more difficult - tilt-sliding, which allows both opening the doors or windows in the upper part, tilting them, and moving them to the side. Metal-plastic windows are distinguished by a large mass of sashes, especially when using two-chamber double-glazed windows. Fittings must withstand quite serious loads. Standard fittings are designed for a mass range from 50 to 130 kg, which is quite enough for windows in residential buildings and apartments. Designs by special order, differing in complexity of configuration or large sizes, are equipped with reinforced fittings, with the ability to withstand sashes weighing up to 200 kg. The best fittings are designed for 50-60 thousand cycles with a 10-year warranty. Average, but quite acceptable in price and quality - for 10,000 cycles. Under the cycle refers to all four consecutive steps - opening in two positions, (airing and swing) and alternate closing. Fittings are adjusted using a hex key, but before starting it you need to study what movement will lead to what. If you have never dealt with the adjustment of windows, better call the wizard. All fixtures are ordered when windows are measured and a window installation contract is signed or purchased and installed separately. The hinges are usually located in the open position, freely accessible. But there were also windows with concealed hinges on the market. So far, they are quite a rarity and are considered innovative, but their capabilities make it possible to think that the future lies behind them. All fittings, including accessories, are made from steel of the best grades with anti-corrosion coating. Some parts that do not carry high loads may be from other alloys, but in no case plastic. Only plugs or decorative covers can be made from polymers. If the windows are installed in a private house or on the first floor, then it is advisable to order anti-burglar accessories that protect against unauthorized opening of the sash from the street. The following manufacturers produce quality fittings - Winkhaus, Roto, Siegenia-Aubi, G-U (Gretsch-Unitas), Maco. They are distinguished by high resistance to mechanical stress (they withstand a load of up to one and a half tons), special latching devices included in the frame, multidirectional pins of the central lock, and a plate for protection against drilling the lock and hinges.